First, let’s do a quick recap on Google’s latest algorithm update. It’s well known by now that Google announced its Hummingbird update last September. This is the largest update since 2001, which many say is essentially an entirely new algorithm. Google is improving its ability to answer questions and bring users the most relevant content pertaining to their search. This is where you can expect to see a rise in long-tail search traffic. Meaning if I ask a question in a Google search I should find the most relevant results ranking first. 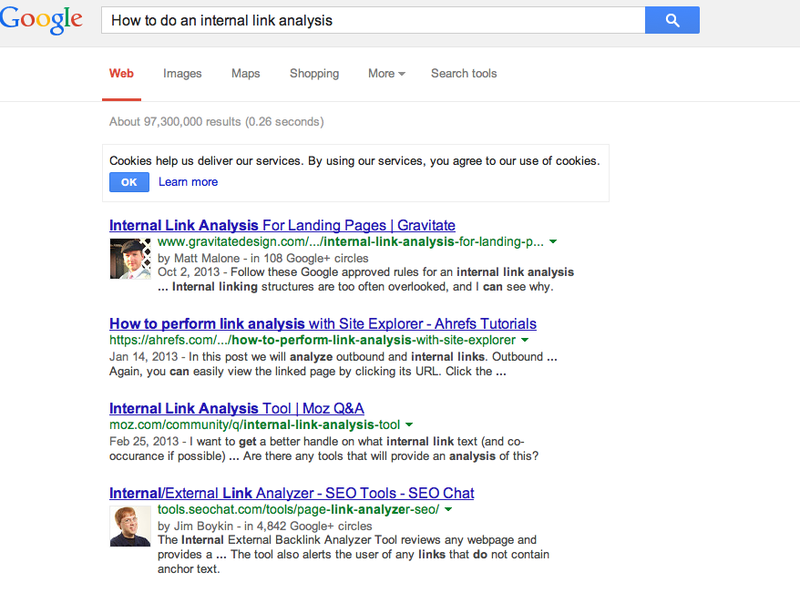 For example, when I search for “How to do an internal link analysis” the top results are second and third-level pages with very specific content that answers my unique question. To be fair, I searched using a co-worker’s computer. In this instance I logged the co-worker out and used a depersonalization URL trick I picked up from Moz. What does this have to do with vertical marketing? When I refer to “vertical marketing,” I mean focusing content to a specific target audience. At Gravitate, we build “vertical gateways” targeted to individual industries, locations, keywords, and even personas. A gateway is similar to a microsite that lives within your primary domain. It’s a fantastic method for developing internal links and relevant content that really gets Google’s bird humming (ha – unintentional, but I’m leaving it). This is a huge opportunity for businesses to improve the quality of their leads by offering hyper-relevant content for potential customers looking for answers to their problems. Medium and long-tail searches skip the homepage and bring traffic directly to your highest converting landing pages—its perfect! Don’t get me wrong; the homepage is still a big deal. It’s your storefront. Clean design, effortless UX, and clear call-to-actions are still key. However, your homepage is not the only entrance point to your website, and it’s definitely not the highest converting landing page. An analogy. Let’s go shopping. It’s a little like comparing a regular mall to a strip mall, but in this case, the strip mall is gigantic. For example, let’s say you’re looking for a new pair of running shoes. With a mall, you usually enter through the main entrance [homepage], then you walk around [browse top navigation] and possibly even stop at a directory to see where the shoe store is located [sitemap or internal search]. This is all before you even get to look at any shoes. With a vertical marketing approach, there could be dozens of outside entrances to a variety of shoe stores. 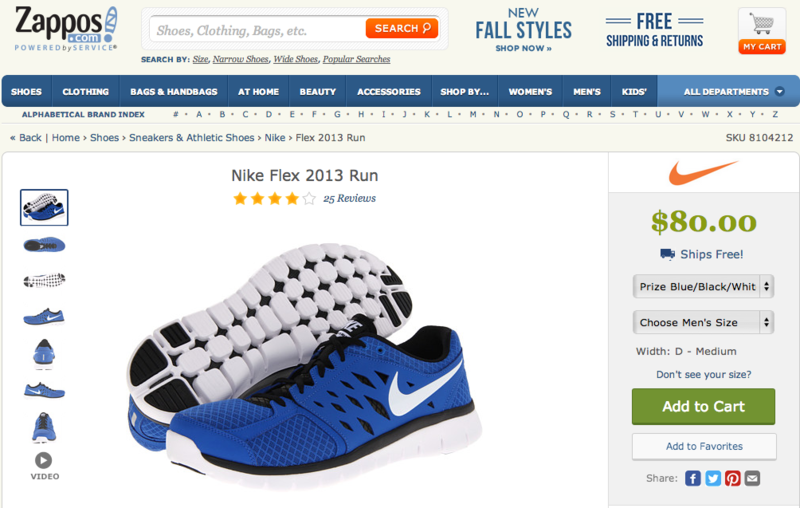 I can walk directly into the store selling my favorite brand, style, and color of shoes [individual product landing pages]. Exactly what I’m looking for and an easy checkout process. Perfect! Because I found what I needed so quickly, I’ll likely head out to the lobby or main entrance [homepage] after my purchase and see what else this strip mall has to offer. What an effortless experience! We’ve had a lot of success applying this methodology at Gravitate. We started with location-specific landing pages to attract markets outside of our physical office location of Vancouver, Washington. 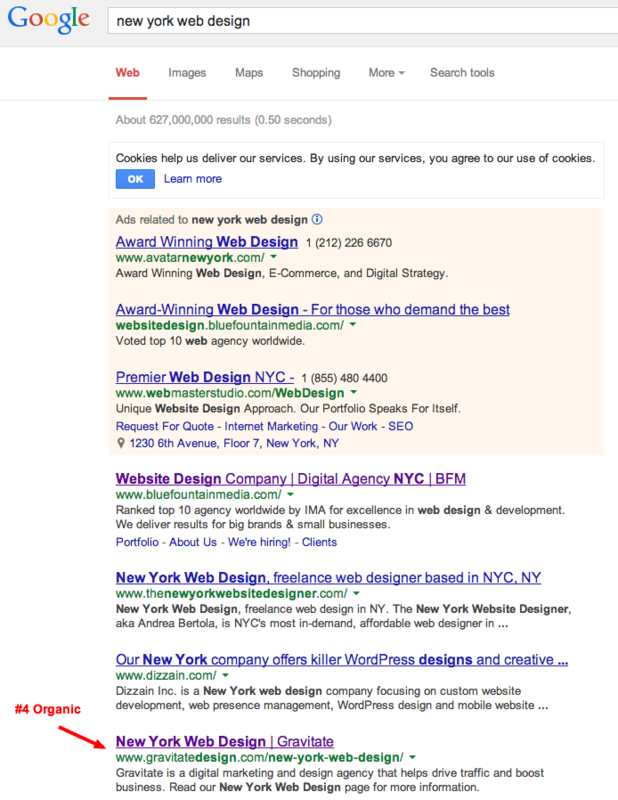 One example of this is if you were to search “New York Web Design” from New York, NY, you’d see that we rank near the top of page one, even though we’re a hefty 2,900 miles away. I used an even more advanced depersonalized URL trick than above to help identify location-specific searches. Notice the last portion of this query string. This strategy works wonders for targeting specific locations, industries, keywords, and even products and services. The below diagram borrowed from our post on internal linking illustrates this process well. Say you’re building a Vertical Gateway for the software industry. Let’s look at what each of these pages would consist of and why they’re important. The homepage is your horizontal marketing channel. It needs to give an inspiring 1000-foot view of your company and what you can offer. 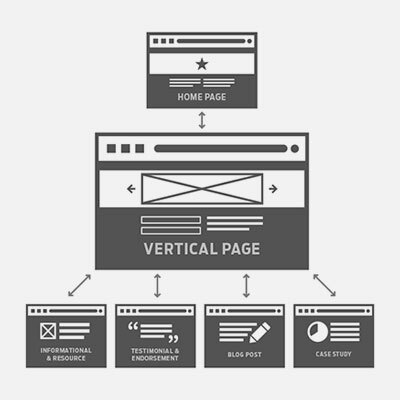 It should also link to your vertical landing pages, as it’s likely your most authoritative page. However, you can’t just stuff dozens of links into the top navigation and footers. That would be over-optimization and it could create a miserable user experience. To do this strategically, I suggest adding a section of content within the body of the webpage that lists the most commonly served industries. This creates great anchor text links pointing to the landing page. This is the primary landing page for your software vertical. It should have powerful imagery, clear call-to-actions, and extremely focused content discussing your work with the software industry. These pages reinforce the relevance of the primary landing page and help push it higher in organic rankings. All supporting pages need to have content that is strictly focused on the software industry. Link the case studies about the work you’ve done in the software industry to your software vertical landing page. Write a Q&A blog post with a SaaS (software as a service) entrepreneur or CEO that you’ve worked with or an article about your experiences working in the software industry, then link that back to the software vertical landing page. Create a unique testimonial page that only lists testimonials or endorsements from people you’ve worked with in the software industry. Create a long-form informational page that goes into great detail about your knowledge and experience working with the software industry. The internal links from pages with these highly related topics will send the message to Google that your primary vertical landing page holds relevant information to anyone in the software industry looking for your services. Vertical marketing with landing pages provide the highest potential for generating organic traffic and converting leads with your website, especially since the Google Hummingbird update. Really get to know your target audience, understand their needs and pain points then design compelling landing pages that answer specific questions. That’s all for now. 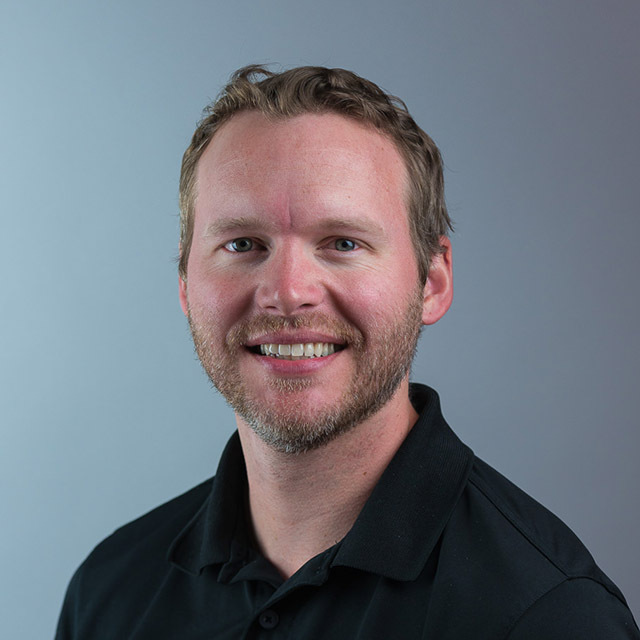 I’d love to hear your experiences with vertical marketing or if you’ve noticed any changes in traffic since Hummingbird in the comments below.